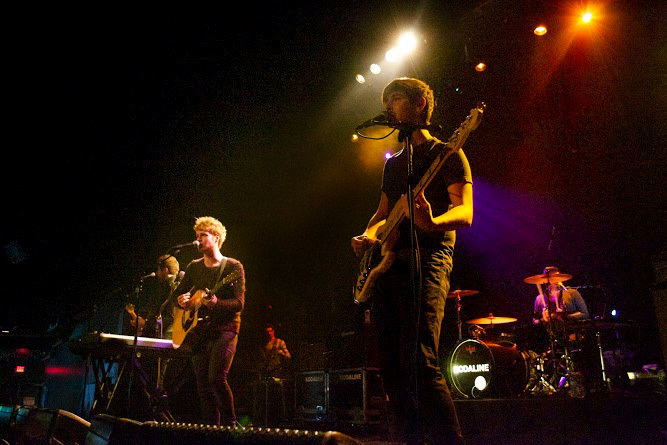 Kodaline is still considered a “new band," although their extensive history suggests otherwise. Garrigan and Prendergast’s friendship dates back to when they met at school in Dublin at the age of 8, when touring the world for music was the last thing on their minds. “We started a band when we were about 15, and once we found out that Vinny, who we skateboarded with, played the drums, we thought ‘okay, let’s jam,’ and we did,” Garrigan says. These jam sessions eventually led to their first band, 21 Demands. Despite topping the Irish Singles Chart in 2007, they decided to call it quits when they grew up, got real jobs and went to college. After dropping out of college, the group got back together and started writing again, but with two problems: They were broke, and the old name needed to go. “People were coming up to us, asking if we wanted to record an album. We could barely even afford a day in the studio, so when we got offers, we were all like, ‘Record an album?! Absolutely! Yes!’ But we didn’t have a name. 21 Demands was a very high-school band, and we had changed as people, so we figured we’d change our name,” Garrigan says. 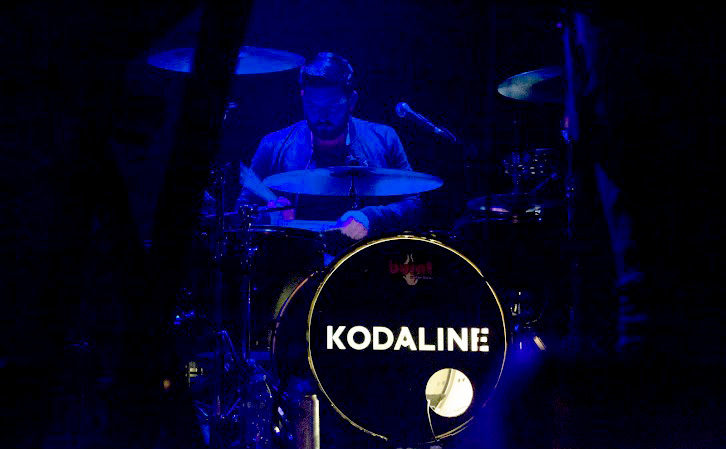 After tossing out several possible names — and tossing back a few beers — they finally landed on Kodaline. With a new name came a new genre. “Back then we only wanted to play solos,” Garrigan says with an embarrassed laugh. He says the inspiration for this change in sound came from “personal experiences and just life in general. People, places, things. Sometimes it’s happy, and sometimes it’s not, but that’s life. You get what you get,” he adds, fidgeting with a lighter to preoccupy himself. At Emo’s, the band’s emotional investment in its songs is apparent from the get-go. It’s tough to resist jumping onstage and hugging Garrigan after hearing his impassioned vocals and seeing his strained facial expressions. On the floor, couples embrace and fans sing along to every lyric, trying desperately to fight back tears. If there’s one phrase to describe Kodaline, it’s emotionally raw. 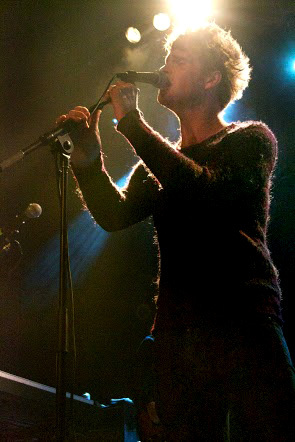 The group possesses a special vulnerability and openness in its writing process and live performances that eludes many bands. “Sometimes during a sound check, we end up having an idea that turns into a song. We have everything written stripped down, then the band just adds their own two cents to it. For us, there’s no real structured way of songwriting,” Garrigan explains. The group has a wide array of influences — electronic, instrumental, even some classic American blues. To avoid arguments about who gets to control music on the bus, the band keeps an “On The Road” Spotify playlist, which includes everything from Grimes to Bruce Springsteen to old-school Strokes. “We’re constantly listening to new bands … In America, there are bands that we’ve never heard of before. By listening to new bands and being influenced by them, we’re growing as a band and our sound is constantly changing,” Garrigan says. The group fully demonstrates this stylistic blend at the beginning of its encore at Emo's, taking to the front of the stage for an acoustic rendition of Sam Cooke’s “Bring It On Home to Me,” snaps and harmonies included. However, other events at a Kodaline show run the gamut from full-out sing-along sessions to marriage proposals. “When we write songs, we don’t write it thinking the audience will sing it back. You really write a song for yourself, so when they sing back we just kinda look at each other in disbelief. I also never thought that someone would want to propose to their girlfriend at our shows, to our music, so that was pretty special,” Garrigan says. All just proof that these four Irish lads deliver a live experience unlike any other, and their lyrical, vocal and musical chemistry is unmatched in today’s indie scene. The rawness of their performances is emotionally draining, but too captivating to resist singing along.